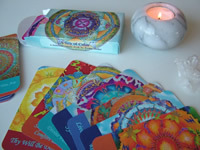 For many years now I have worked with cards, helping others, giving guidance where asked and sharing my intuitive gifts. Today as I sit here and contemplate, I know deep in my heart that the focus is about to change. I know that what I have been given glimpses and deeper insights into needs to be shared with those I come in contact with. And this means coming off the fence more and more. It means moving away from what feels comfortable and familiar and sharing from what definitely can be described as discomfort. But the discomfort is only experienced by that part of me that is unreal, untrue, without substance. Me – the illusion. The part of me that isn’t real at all. And that’s nearly everything. And when that is all swept away, the truth deep within me can emerge more and more. My natural state of being that has always been there but to which I have been blind until recent times. I am loving my awakening to my true way of being and wouldn’t want to have it any other way. Knowing who I am and allowing that to express itself takes precedence over everything else. And truly understanding the nature of a world of non-duality has opened my eyes to who I am. Yet there are always many more layers to drop through, deeper and deeper. Surrendering to the truth within. And only I can allow this through being with what is. No doing and trying. Just being. This entry was posted in SPIRITUAL TRUTH and tagged Fiona Stolze, fionastolze, illusion, inner truth, inspiration, non-duality, spiritual awareness, spiritual journey, spirituality. Bookmark the permalink. So truly beautiful Fiona. I am going through the same thing. Currently a third of the way into A Course In Miracles. Thank you Rowena. And so lovely to hear you are in the same exploration. 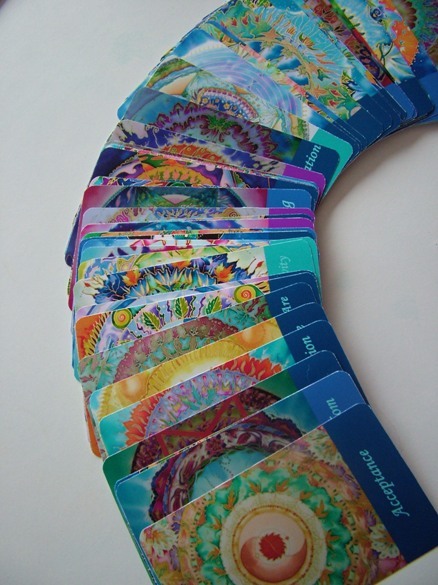 I love ACIM. I have it by my bed. That book guided me out of a very dark place.